Outram Research Ltd – a specialist manufacturer of leading-edge power quality monitors and analysers – announces that its Bluetooth ® -enabled power quality range now interacts with Android devices enabling flexible remote control using the latest tablets and mobile phones. Power engineers can now control the entire range of Outram’s power quality analysers with one application running on either an Android or Windows device. Power quality analysers are often deployed in electrical cabinets or other difficult to reach locations, making it difficult for engineers to read a display on the instrument. Using a remote solution rather than a fragile integrated display eliminates problems of analyser location, permits a more robust product and allows for a more comprehensive, graphically superior user interface. In addition to viewing information such as phasor diagrams to validate correct set up and operation, engineers can remotely access real time power quality data from the analyser. This wireless communication, via PMScreen, allows engineers to program the analyser on site, take snapshots of live data for reporting and check adherence to the EN50160 standard. Engineers can also view current, voltage, power, power factor and flicker, access harmonic data, and in the PM7000 this capability extends to over 500 general parameters. Detailed information is presented on events such as sags (dips), surges and interruptions in power as well as, in the PM7000, ranked waveforms, transients, interharmonics, ITIC Curves and 3D bar graphs. 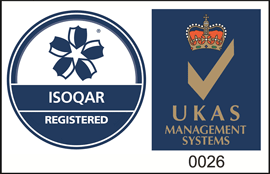 “We wanted to offer our customers the opportunity to take advantage of the latest technology. Tablets and mobile devices are now prevalent in the workplace and are becoming an integral part of modern business and engineering workflow. Users can remotely control their power quality equipment without disturbing or needing access to the installation, eliminating the need to take time unlocking and locking cabinets or climbing back up the pole. It could mean not entering the building at all so avoiding drawn out entry or safety procedures,” said John Outram, Managing Director of Outram Research. Outram Research customers can select from a range of tablets and mobile devices to interact with their Bluetooth -enabled equipment. 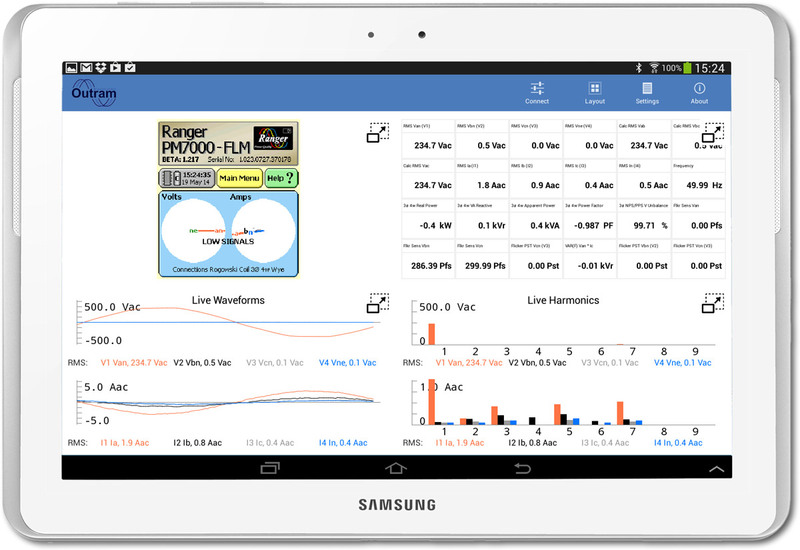 A Samsung Galaxy tablet is currently provided as standard on the market-leading PM7000, the industry’s Cat IV 600V Phase A-powered power quality analyser, and is available as an option on all other Outram analysers, including the 3-phase PM3000, single-phase PM1000 and the split-phase PM2000 that is designed specifically to troubleshoot residential power quality problems in the USA.